Diet and life style according to your constitution is provided. According to ayurveda, the whole universe including human body is five elemental and when these five elements intermingles in the body they constitute three bodily humors ( doshas) and disease is just manifestation of imbalance of these bodily humors vata, pitta and kapha. Nutrition is an important part of managing diabetes. People with diabetes can enjoy the same foods as those who do not have diabetes. Eating a variety of healthy foods in reasonable portions can help manage blood glucose, weight, blood pressure, and cholesterol. Eating healthily is about eating the right amount of food for your energy needs. In India, most adults are either overweight or obese. This means many of us are eating more than we need, and should eat and drink fewer calories in order to lose weight. - Diabetic diet means eating healthy diet in appropriate amount and at appropriate timings, that will help you manage blood glucose levels. Many cancer patients experience gastrointestinal symptoms. The Nutrition Therapy team helps restore digestive health, prevent malnutrition and provide dietary recommendations during treatment. Our goal is to help you stay strong and nourished, so you can continue with your cancer treatment. International Oncology Services Pvt. Ltd. Strengthen your body with your DNA tested diet for a successful cancer treatment and recovery. You can avail online consultation for this service. Register and begin now. "Abs are made in the kitchen , Ingedients can be from the gym". 30% gym 70% customized Diet = expected fitness results / goals. If u are consistent with gyming, following a diet plan will help you spend your time , money and efforts in the right direction. Diet therapy is a broad term for the practical Application of nutrition as a preventative or corrective treatment of disease. 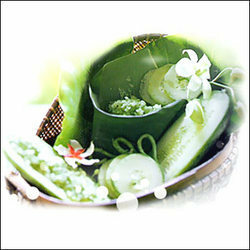 - Diet plays a vital role in maintenance of good health and in the prevention and cure of disease. There are many factors that determine the best and easiest approch to a Live Food based diet. Together we can design a plan to improve your diet in accordance with your own nutritional goals and needs. We can look for ways to implement raw living substitutions and additions that do not make you feel starved or restricted.